It’s getting crazy out there (and something tells us this is just the beginning), so get caught up on everything that happened before this Friday with Troy and Chris. First up, the guys talk about the Ghostbusters.com relaunch, and look in depth at the new imagery for both classic and new Ghostbusters (and discuss the distinction between Classic and New). One of those photos is our first official look of Chris Hemsworth’s character Kevin - why are they withholding his last name and keeping him ambiguous? Is it important to a plot point? Is he a Janine allegory? Especially given his distinctive costume choices? Oh, and as result of the website launch, Paul Feig tells us that a trailer is coming out by the end of the month. Dave and Busters is gearing up for Ghostbusters 2016 with a new photo op display and the guys talk a bit about gameplay of the ticket redemption video that’s out in the wild. New GB16 shirts are showing up at Target as part of a test run, have you found yours yet? We haven’t! Speaking of merch, this magazine Retailer Merchandiser keeps feeding us gold, including our look at some book covers that might actually include our first glimpses of the new redesigned Slimer? 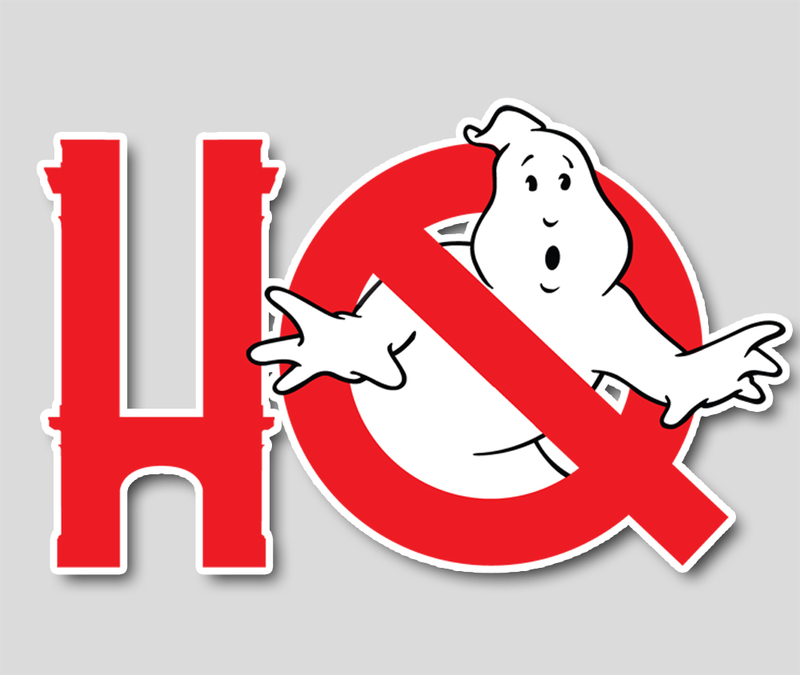 Martin Charles the Graphic Designer on Ghostbusters (2016) was profiled by the Academy of Motion Picture Arts and Sciences and discussed a little about what he contributes to a film. Halloween Life interviewed Eldo Ray Estes, whom you might not recognize by name, but you’ll recognize from one very particular soundbite in the first Ghostbusters film. Stern Pinball details have leaked about an upcoming cabinet and the different iterations that are coming (and those details were quickly taken down), but the guys still caught enough of it to chat about. Finally Death and Taxes asked the question that’s always been on our minds: just what was Slimer supposed to be?